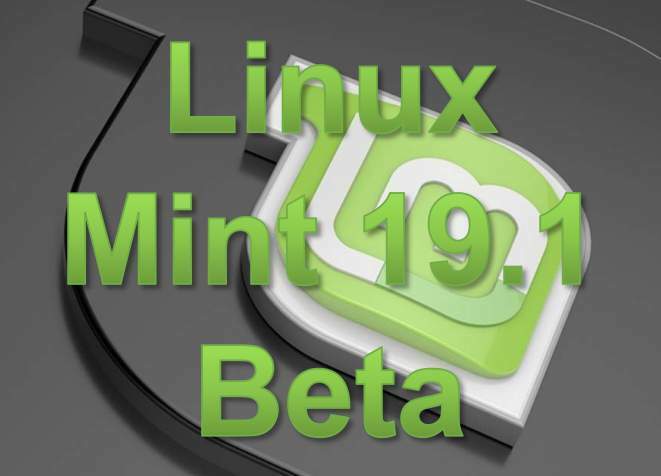 Friday November 30th the Linux Mint team made the Linux Mint 19.1 Beta release available for the public to test it out. This Beta version of linux Mint 19.1 should already give us a good idea of what new features will be offered in this new version of Linux Mint. So therefore I installed the Cinnamon version of this release on a separate machine to find out what the near future will bring us. So here a first look at Linux Mint 19.1 Beta. I have not done any extensive research yet. I just looked around, tried some things and installed some for me important applications like darktable, Krita, Shotcut and LibreOffice to determine to what extent this Beta release is already stable and to see how it performs. 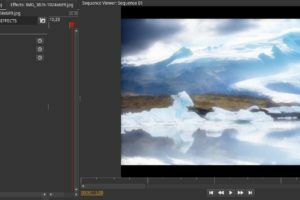 Here some of my comments, findings and looked at features with respect to this Linux Mint 19.1 Beta release. Like Linux Mint 19 also Mint 19.1 is a long term support release based on Ubuntu 18.04 LTS Bionic Beaver, which will be supported until 2023. Until 2020, future versions of Linux Mint (19.2 and 19.3) will use the same package base as Linux Mint 19.1. So when the official release will be available for the public, which can be expected before Christmas this year, for most of us Linux Mint lovers who currently use version 19 this 19.1 release will probably be a natural upgrade. If you are still using a 18.x version than you cannot do the upgrade via the standard upgrade process and must first upgrade to 19 before going to 19.1. Or you can of course do a fresh install of 19.1 when the final version is being released. The code of the file manager Nemo has been reviewed and optimized and according to the development team it is now three times faster than before. If that number is indeed correct I can’t tell for sure, but what certainly is true that Nemo is noticeable faster. Everything you do in nemo feels snappy and suddenly the previous version feels sticky, while that one was already a fast file manager. Good to see these kind of improvements because it again increases the user’s pleasure. Compliments for the team. Where Linux Mint 19 is being offered with Cinnamon 3.8, for Linux Mint 19.1 the Mint team will combine it with Cinnamon 4.0. Cinnamon 4.0 has visual changes like an updated panel, but it is more fluid and responsive as well, for example when moving windows. Two new items have been added to the Welcome screen, the Desktop Layout switcher and the Firewall launcher. 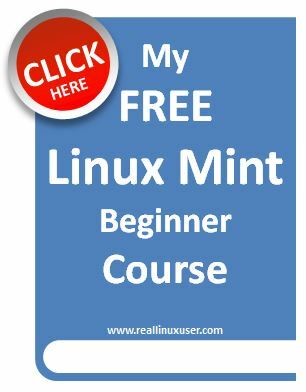 The latter just points to the existing Firewall application, but it is a good thing to bring it under attention to beginning users who are not familiar with Linux Mint. The Desktop Layout switcher is new and makes it possible to switch between the traditional desktop experience and a more modern one. The out-of-the-box theme is now based on Mint-Y for window borders, icons and controls, Mint-Y-Dark for the desktop and it now uses standard the Modern panel layout. This gives a more fresh and modern minimalistic flat look to the desktop with more bolder panel icons and it indeed looks quite pleasing. But of course beauty is in the eye of the beholder, so have a look at it yourself. Also the Mint-Y theme itself has been updated, with stronger contrast and labels that look a bit sharper and darker. As already mentioned in the Welcome part, it is now possible to switch between a classic and a more modern panel. In the traditional panel we saw smaller icons and descriptions of the started applications. In the new panel the icons are bolder and running applications are also presented with icon only indicators. Markings at the bottom of the icons indicate if the application is running. But the panel now also groups apps by default and shows an indicator if multiple instances of the same application are open. The panel has more settings to play with. 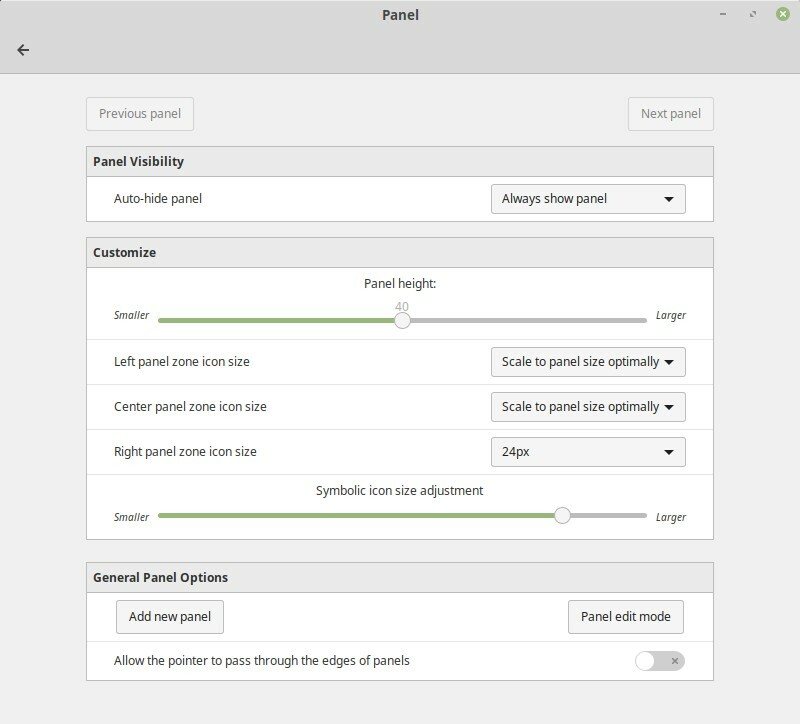 The different sections on the panel, menu and launcher, window list, and system tray, can have different sizes. The Update Manager now shows available kernels and their support status and a new button has been added to simplify removal of kernels that are not needed. The Software sources screen has a new look similar to the Welcome screen, with a sidebar to select the main sections instead of the current big old button like presentation. This more flat presentation helps to give Mint a more modern feeling. Currently when using the terminal you couldn’t see if you were actually typing your password in case of a sudo command. To prevent you from making mistakes, sudo now shows asterisks characters when you type your password. Simple but very effective. This Beta release is based on kernel 4.15.0.20, which seems a bit strange to me as according to other sources Linux kernel 4.15 already reached end of life months ago and users are being advised to move to at least 4.16 as it has fully patched the Spectre and Meltdown issues and offers numerous updates and better driver support. Kernel 4.15 is not officially supported anymore, but the Ubuntu kernel team will maintain the 4.15 kernel themselves. 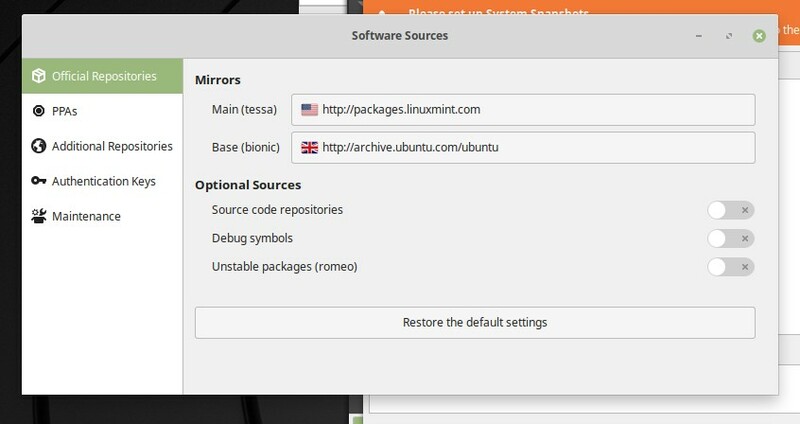 But of course you can move to another kernel version yourself if you feel the need, for example with the handy Ukuu (Ubuntu Kernel Update Utility) application. As already mentioned this Beta release of Linux Mint is available for everyone to give it a try. Keep in mind that this is not the final release so it can have bugs and can make your system unstable. So please do not install it on your production machine as a replacement of your current implementation. 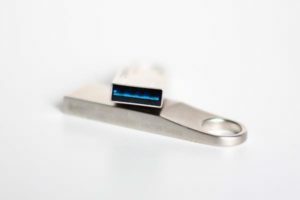 I recommend that you install it in a virtual machine or on a spare non production computer.